SCVHistory.com | Ramon Perea, San Francisquito Canyon Rancher. Ramon Perea, San Francisquito Canyon Rancher. By JOANNE HOLM | December 2000. Ramon and his wife had thrown some type of family gathering at the ranch the day of the flood. My maternal grandmother, who was then a young girl of maybe about 10, asked my great-grandmother, Ana, if she could spend the night at Ramon's. Ana and her husband, my great-grandfather, Joe, said no and returned with Grandma to their home in San Fernando. It was fortunate that they prevented my grandmother from staying because she could very easily been a victim of the flood that night. The next day, Ramon and his brother, Guadalupe (known affectionately as "Uncle Loop" to many), rode down to San Fernando and asked Joe to bring his team of horses and his wagon to help recover the bodies from the flood plain. It's a story that, despite my lack of knowledge of most of the family, still brings tears to my eyes. 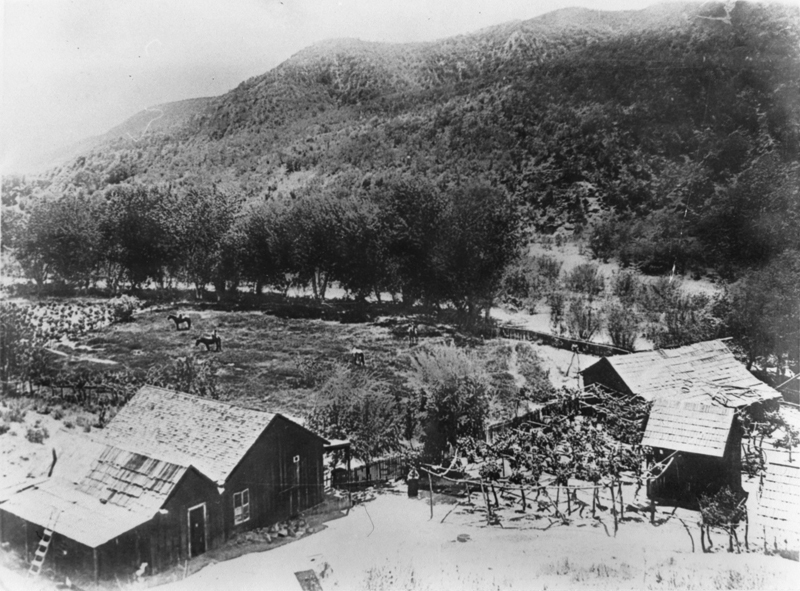 Another story (that is outlined in the San Fernando Historical Society's records) tells of how my foolish great-great-grandfather Ramon discovered a black, goopy substance in the dirt while riding through what is now Pico Canyon in Stevenson Ranch. He scooped up some of the mess in his canteen and took it into San Fernando, where he showed it to (I think) Charles Maclay. Ramon was given a $10 gold piece to show the San Fernando founding fathers where he found this substance. It turned out to be the first oil find in California, and the claim was sold to what was then Standard Oil, later to become Chevron. If anyone has ever heard of any of my family members through their own genealogies I'd love to know. Joanne Holm lives in Seattle and can be reached here.